May 29, 2012  At least 15 people are dead and it's feared that others are trapped in rubble and that the death toll will rise after an earthquake today in Northern Italy. 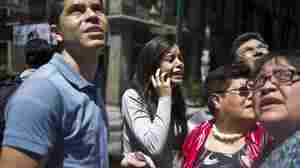 The 5.8-magnitude temblor is the second deadly quake to hit Italy in the past nine days. March 5, 2012  The U.S. Geological Survey says there was a 4.0 magnitude temblor in the "San Francisco bay area" at 5:33 a.m. local time (8:33 a.m. ET). May 24, 2011  Can homes, schools, hospitals and office buildings be built to be tornado-proof? 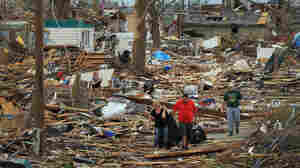 After the death and destruction we've seen in recent weeks in Joplin, Mo., and Tuscaloosa, Ala., that is likely on many minds. But an engineer lays out the difficulties. March 11, 2011  Twitter, Facebook and YouTube are filled with reports. Google's tool aims to help people contact their friends and family. Here's how to follow the story. February 18, 2011  It's being called the "Guy earthquake swarm" and might be related to natural gas exploration in the area — or could be similar to a series of quakes that hit the state in the 1980s.